At Charlton Minicoaches we provide a 24 hour nationwide transport service catered to your individual needs. We provide our services in the West Lancashire and Merseyside area, including Ormskirk, Southport, Skelmersdale, Formby, Burscough and surrounding areas. We regularly provide transport for educational and sporting trips for primary schools, secondary schools, colleges and universities in the local area. We also work with many local organisations including the U3A, The Parkinsons Society, Guides, Carers Societies, various women’s institutes and many other groups. We also provide transport for days out, supporters groups and theatre trips. From wedding transport to sporting or shopping trips, whatever the occasion, Charlton Minicoaches are happy to provide a no obligation quote for your transport needs. If you would like more information on the transport services we offer or would like a quote then please call us on 01695 580800 or click here to fill in our enquiry form. 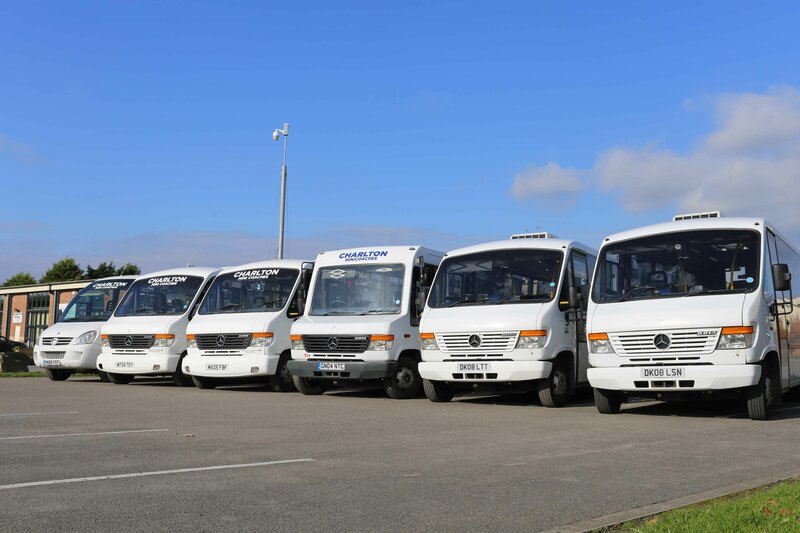 We have a fleet of fully tracked, well maintained, wheelchair accessible vehicles ranging from 10 to 33 seats to cater to your transport needs. We offer a 24 hour airport service and provide transport to all UK airports. Get in touch today to book your airport transport. We can transport your guests to your ceremony, wait and then take them on to the reception for a night of full celebrations. Your guests can relax and enjoy the night without having to worry about driving home. Our fleet of vehicles are wheelchair accessible with tail lifts that are maintained to LOLER safety standards. All of our drivers fully trained in-house in how to correctly operate the lift and secure the wheelchair user and have also received disability awareness training from Lancashire County Council. We offer transport to any destination within the UK and regularly provide day trip transport for local groups and organisations to attractions such as theme parks, shopping centres, markets, garden centres, educational and historic sites to name just a few. Our day trip knowledge is second to none so please get in touch for some day trip suggestions. We provide sporting trip transport for local rugby, football and tennis clubs to their away matches at clubs throughout the UK. Being close to Southport also means we are well placed to provide golfing transport to golf clubs throughout the region and regularly do so throughout the summer. Whatever the occasion Charlton Minicoaches Ltd are happy to transport you and your party. Based in Ormskirk, Lancashire, we are well respected in the local area. Get in touch today for a no obligation quote. Your Local, Reliable Transport service since 1997.